The weather here in northern Maine has been daunting to say the least. After a long, long, VERY cold winter that stretched well into spring, when below-zero temps were the rule more than the exception from October through April, now May has come in March-and-April style with rain and wind and chilly days. I was spoiled one or two days last week with a bit of warm sun and did a smidge of yard work, but not much. I’d planned to get my veggie plot ready to go, but that never happened. Now it’s too wet to do anything with seeds like lettuce and carrots and green onions. The old adage, “sow dry, set wet,” applies, and I intend to stand by it. Who wants seeds rotting in the ground? I’m tempted to sow them inside and set them out later when—and IF—the weather improves. According to the forecast, the break will come this weekend, just in time for the holiday. Woo hoo! I’m ready. On Thursday I’ll post this week’s recipes for some delicious dishes you can prepare, some even ahead of time, to help honor those who have fought and died for us, and to remember those who have touched our lives and passed on. You’ll find I’m a kind of nutcase when it comes to my passion for native plants and flowers AND perennials. I’ll probably pepper this blog with plenty of photos and factoids about them, so bear with me. 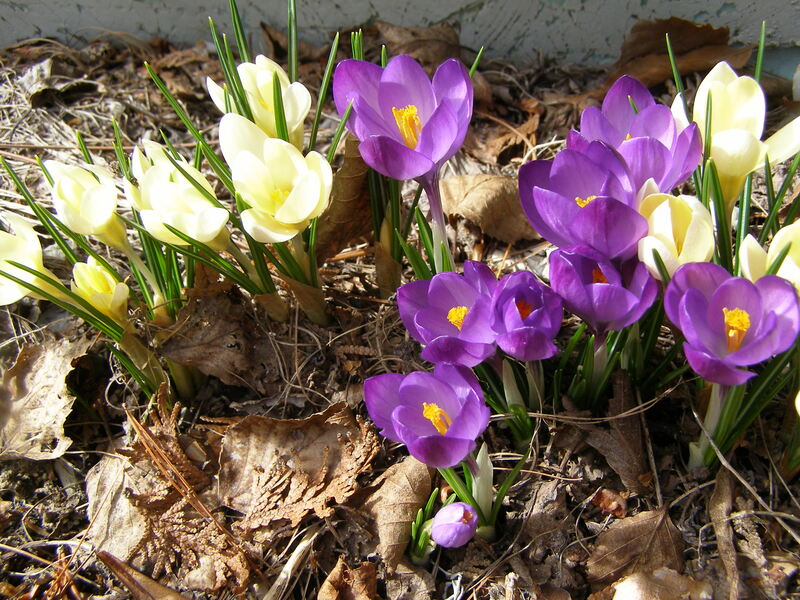 Two reliable harbingers of spring are coltsfoot and crocuses. 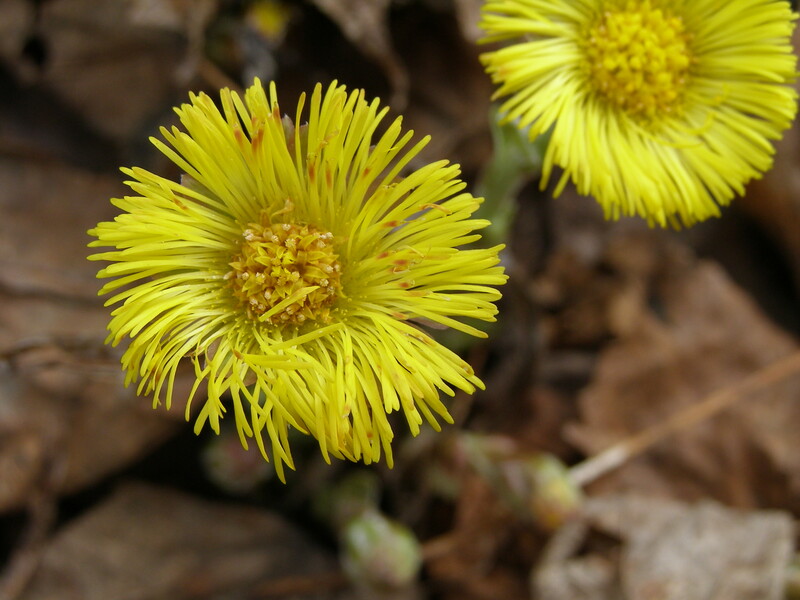 Coltsfoot flowers emerge before the leaves. Everyone mistakes them for dandelions, but they’re a long-recognized medicinal plant with beautiful vine-like foliage that loves to explode out of the woods and cascade down roadsides and into rich ditches. Many pharmacies in Europe use the leaf shape for their signage. It’s one of those plants that people rarely notice, but once you learn about it, you’ll see it everywhere! Have a safe and peaceful holiday weekend. This entry was posted in Native Plants & Perennials by cmtstardesign. Bookmark the permalink.